But Banning Pitbulls Makes Society Safer, Right? Bans and restrictions on pitbull ownership are called "breed-specific legislation" -- and studies that have looked at these laws find they don't make communities any safer. 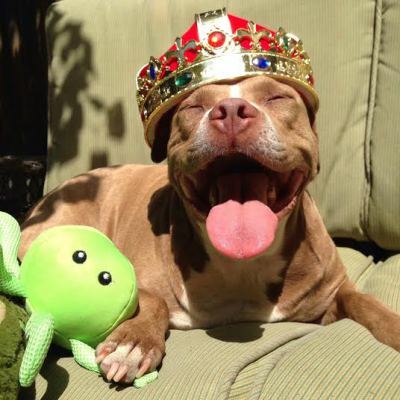 Firstly, there's no evidence that pit bulls are, in fact, more dangerous than other dogs. Secondly, accurate breed identification is nearly impossible. After a dog bite is reported police and newspaper accounts rely on witnesses to accurately identify the attacking dog's breed, a task that studies have found even veterinarians and other animal care professionals can't do with much accuracy. The restrictions are also expensive. The group Best Friends Animal Society has an online calculator you can use to see how much breed-specific legislation costs . Enforcement of Miami's breed-specific legislation is said to cost the city more than $600,000 per year. A task force charged with examining a pit bullban just outside Washington, D.C. found enforcement of the ban cost $560,000 over two years, without any public safety benefits. Groups like the American Bar Association and the Centers for Disease Control have come out against breed-specific legislation. President Barack Obama, in a statement, said that these restrictions are "largely ineffective and often a waste of public resources." Community-based approaches to dog bite prevention are a preferred alternative. The misinformation and myths surrounding pitbull type dogs is both disapointing and dangerous. It creates an environment in which millions of dogs are judged simply on thier appearance and, sadly, people feel justified in discriminating, abusing, and otherwise treatly without any respect these innocent, loving animals. But Pitbulls Are Bred For Fighting, Right? Most pit bulls aren't bred for anything, by and large they're mutts, plain and simple, who happen to share a similarly blocky-shaped head. But even those dogs who lived in an environment with dog fighting - like Michael Vick's pit bulls - can turn out to make great pets once they're free from their abusive environments. See Pitbull Heroe's Hall of Fame for inspiring stories of pitbulls who demonstrate their caring nature, who have overcome heartbreaking abuse and been loving family members. But Pitbulls Are Naturally Vicious, Right? Nope, they aren't. Like all dogs, pit bulls are individuals. 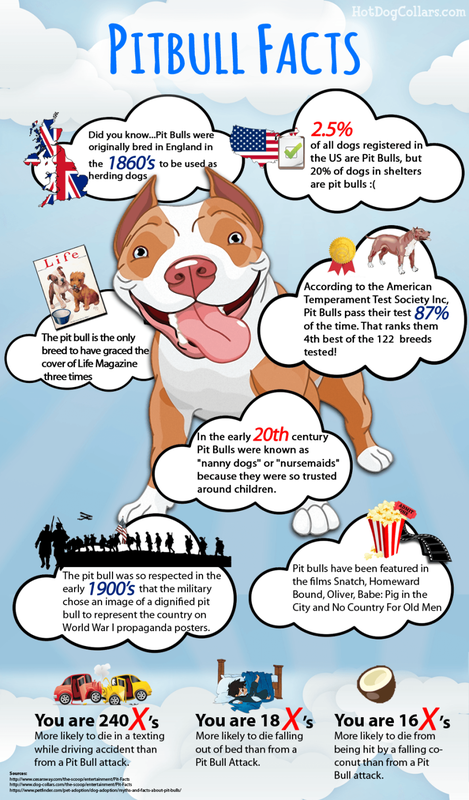 All this means that pit bulls aren't inherently anything, other than dogs with a blocky-shaped head. And of course the shape of a dog's head tells you exactly nothing about that dog's personality. Educate yourself on the best ways to avoid dog bites . Learn to read a dog's signals; teach your kids the correct way to approach a dog of any kind. That's a much more effective way to stay safe -- and certainly better than implementing policies that restrict dog ownership based on physical appearance instead of actual behavior. But Pitbulls Aren't Good with Kids, Right? 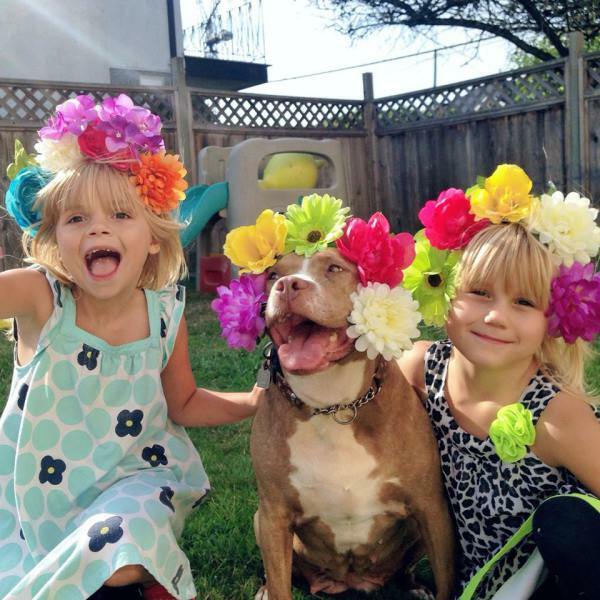 Some pitbulls are really great with kids and some aren't, just as with all kinds of dogs. Each dog has its own personality. Want to keep your kids safe around dogs, pitbulls or otherwise? Always supervise your children and dogs when they're together, teach children the right way to approach and interact with our dogs. Get to know and pay good attention to the signals a particular dog is giving off. Also, keep in mind that a dog's breed does not tell you how good that dog is with kids -- so you can't assume a beagle is safe any more than you can assume a pit bull isn't.